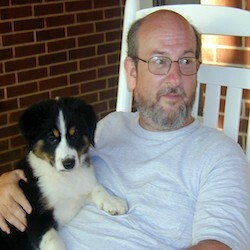 The danger of using Scrivener is that you will become a spoiled brat. Yes, it's that good. The problem, though, is that unless you're a technical guru or the kind of person who digs, digs, digs for information, you might learn the basics and be so content that you go no further. Hernandez' book makes sure you don't. She explains it in wonderfully easy steps and walks you through it so that you do learn. Most books go too far one way or the other. Either they are too detailed and you find yourself skimming, or they are too technical and you get lost. Hernandez writes in a manner that lets you meander through at a leisurely pace, or race through, picking up only what interests you. She has managed to put this together so that you can jump ahead to what interests you, and go back to things you skipped at a future date. I read the review that stated Literature and Latte's tutorial is sufficient and this book wasn't necessary, yet the reviewer admitted to not purchasing the book. So how does that reviewer know? I agree that Literature & Latte's manual and their tutorials are great, better than most, but I still found Scrivener for Dummies a bargain and more than worth the money. I had gone through Literature and Latte's Outline Section several times and still found I didn't understand it well. After going through the Outline Section in Scrivener For Dummies, I'm no longer confused. 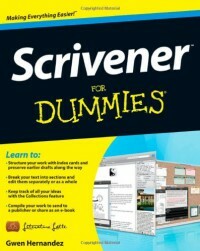 If you're using Scrivener, and you should be, picking up Scrivener for Dummies is a no brainer. Do it. You'll be glad you did.